The fact, however, to which I want to call attention is that the master of Judo never relies upon his own strength. He scarcely uses his own strength in the greatest emergency. Then what does he use? Simply the strength of his antagonist. The force of the enemy is the only means by which that enemy is overcome. The more you wish to be, the wiser you are; while the wish to have is apt to be foolish in proportion to its largeness. The infinite gulf of blue above seems a shoreless sea, whose foam is stars, a myriad million lights are throbbing and flickering and palpitating. Times are not good here. The city is crumbling into ashes. It has been buried under a lava flood of taxes and frauds and maladministrations so that it has become only a study for archaeologists. Its condition is so bad that when I write about it, as I intend to do soon, nobody will believe I am telling the truth. But it is better to live here in sackcloth and ashes than to own the whole state of Ohio. Bio: Patricio Lafcadio Carlos Hearne was a Greek-born journalist, author and academic. 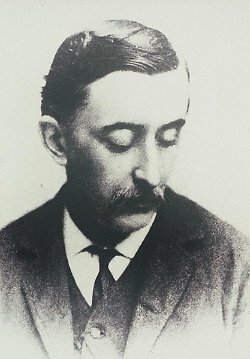 He was brought up in Ireland and lived for many years in the United States before moving to Japan, taking Japanese citizenship, and adopting the name Yakumo Koizumi.